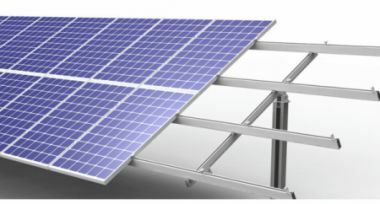 We offer the most robust, long-term Professional Solar Solutions. Zero Emissions. Silent. Sustainable with infinite Potential. Quality and Competence you can rely on, since 2006. Tier 1, highest quality, high-transmission with tempered glass for enhanced stiffness. 25-year limited warranty on power output and performance. Victron, Canadian Solar, Suntech, TrinaSolar, Forge, C-Sun, Enersol, 40mm frame. Fronius SnapINverters are well equipped to meet the future demands on photovoltaics. With nominal outputs ranging from 1.5 to 27.0 kW, Fronius has the ideal inverter to suit any system size. Future-proof technology with build in MPPT’s. The Freedom Lite Home and Freedom Lite Business range from Freedom Won offers the long overdue next generation energy storage with quantum increase in service life and operational efficiency at a fraction of the life cycle cost compared to other energy storage types. Home, Business, Commercial and Industrial Applications. Integrates with all 48V Victron Inverter Systems. The new AGM Super Cycle range has very low internal resistance making them particularly suitable for high current discharge applications.100% DoD capability which makes it the best AGM on the market. The GEL model range offer best deep cycle durability and overall longer life. Color Control GX The Color Control (CCGX) provides intuitive control and monitoring for all products connected to it. The list of Victron products that can be connected is endless: Inverters, Multis, Quattros, all our latest MPPT solar chargers, BMV-700 and more. Battery ‘fuel gauge’, time-to-go indicator, and much more. 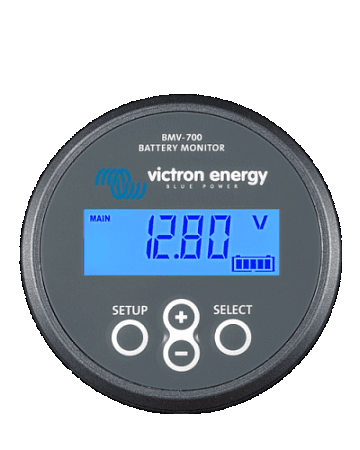 Next to the basic display options, such as voltage, current and ampere-hours consumed, the BMV-700 series also displays state of charge, time to go, and power consumption in Watts by using complex software algorithms. 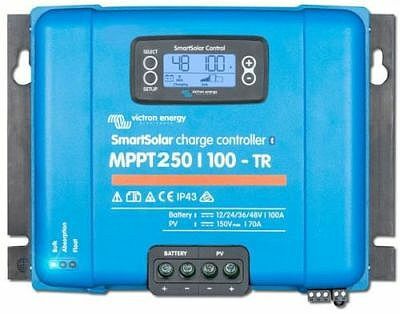 PV voltage up to 250 V The BlueSolar MPPT 150/35, 150/85 and 250/100 smart charge controllers will efficiently charge a lower nominal-voltage battery from a higher nominal voltage PV array. 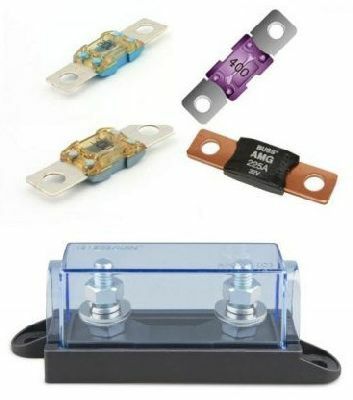 The controller will automatically adjust to a 12, 24 or 48VDC nominal battery voltage. 99% Efficiency, 30% improved energy harvest compared to PWM chargers. Centaur Charger 12 / 24 Volt Chargers.The Centaur model range features auto-ranging input covering 90-265VAC 50/60Hz input meaning they can be used anywhere in the world. Other features include fully automatic three stage charge characteristic that ensures batteries are fully charged every time. Our range spans 12V and 24V models from 30A through to 60A. Solar Cooker LD-150, very durable, environmentally friendly, inexpensive alternative to cooking with firewood.Uses the concentrated power of the Sun, no electricity needed. Protect your children from smoke inhalation.Comes in box with assembly instructions, can also be seen for live demonstration in Harare at our sales partners. Details on our Product page. Silicon UV resistant Solar Cable and Y-Connectors for safe, professional and simple parallel or series/parallel connection of PV-modules. Pluggable with single-pole MC4-PV-cable coupler Ø 4mm²/6mm². Zimbabwe and surrounding areas enjoy optimum conditions for harnessing the sun’s energy efficiently. 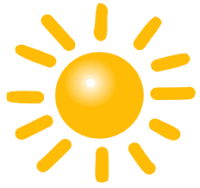 It is sunny 65% of the daylight hours and provides over 2871 hours of sunshine. Madison Solar opens the door to all this power potential. 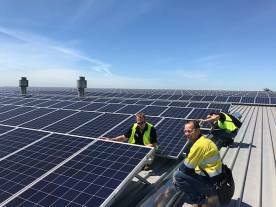 Our experience with solar rooftop, solar car parks and solar farms has shown that there are unique considerations to each type of site. The Madison design and engineering team will conduct a detailed site assessment and review, taking into account any major risk factors and technical feasibility. Additionally to simulate the solar project’s viability, Madison will conduct a weather study, based on NASA data to determine available sunlight irradiance for the specific location of your site. The resulting information, along with the system design, will factor into the yearly yield energy production model. Our experienced engineering team will assess your load usage patterns that forms the basis of our solar system and backup designs. Options and proposals will be made available to the customer to fit his or her needs and budget. Commissioning is a comprehensive verification process which helps ensure an installed project aligns to its engineering plans and energy predictions. Our commissioning services are recognized and appreciated by financing institutions, Independent Power Producers and utility companies. Our in house disigning team will design a comprehensive system layout showing all relevant components and their interaction. We can in addtion also provide a report of findings and conclusions which may be helpful aquiring funding from banks or lenders. Our engineering team finishes by researching rebates and incentives (if applicable) and working with internal estimators to fine-tune delivery costs. At the end you will receive a comprehensive financial analysis illustrating your Financial Return of Investment (ROI) and predicted power savings.